Voot series, Asura will see Ridhi Dogra playing a crucial part. The series is produced by Ding Entertainment. Read here for details. Talented actress Ridhi Dogra who has entertained her fan base with her portrayals in shows Seven, Maryada Lekin Kab Tak?, Savitri, Woh Apna Sa etc will foray into the digital space soon. 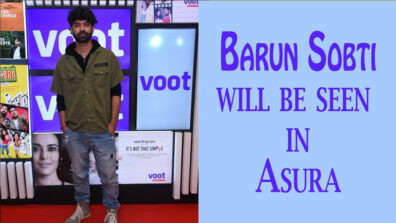 Ridhi will join Barun Sobti and Arshad Warsi in Voot’s upcoming psychological thriller, Asura. The series is produced by Tanveer Bookwala’s Ding Entertainment. We buzzed Ridhi but could not get through for a comment. We reached out to Monika Shergill, Content Head, Viacom 18 Digital Ventures, but could not get revert till we filed the story.